Ramen noodles are very popular these days in Japan. 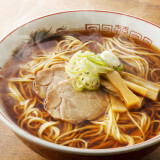 Originally from China, ramen is made of wheat and served in a soup. 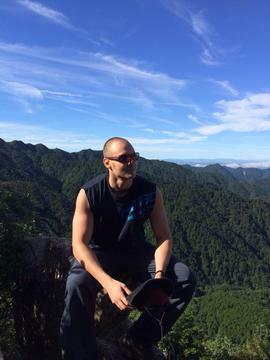 The soup is commonly salt, soy sauce or miso flavoured. Pork bone flavoured soup is also often available. There are a vast number of options available now, so which toppings should you choose? 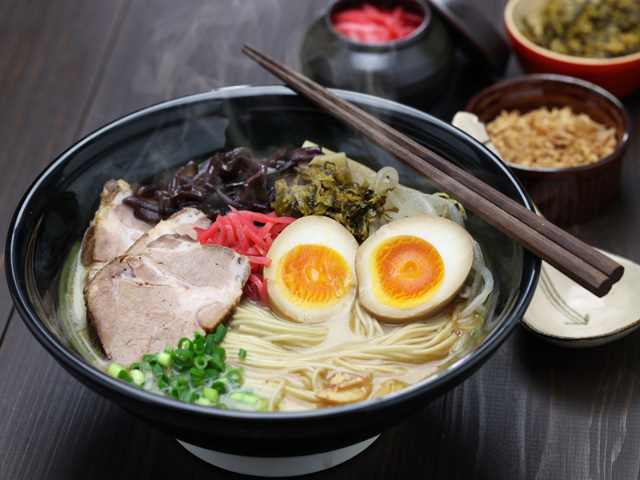 Let’s take a look at 7 toppings that are very popular among Japanese people. Chashu is sliced roasted pork and quite fatty. 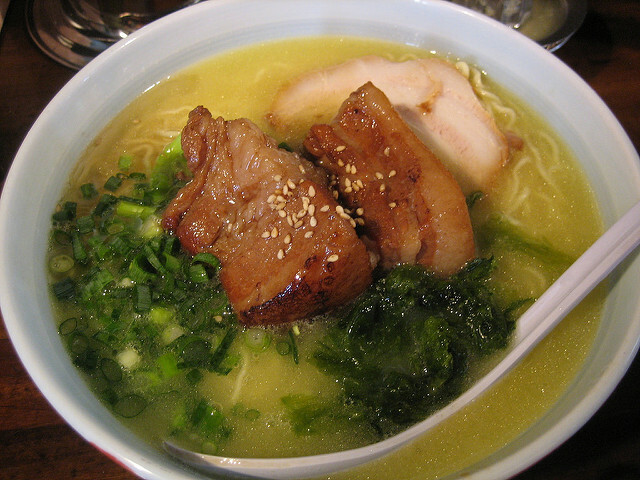 It is one of the most common toppings and usually features on the picture menu in most ramen shops. Many dishes include a slice, but you can specifically order this topping and receive a ramen dish with several slices of chashu on top. Expect to receive a fair amount of sliced spring onion in the dish too. Japanese love to add sliced spring onion to noodle dishes. 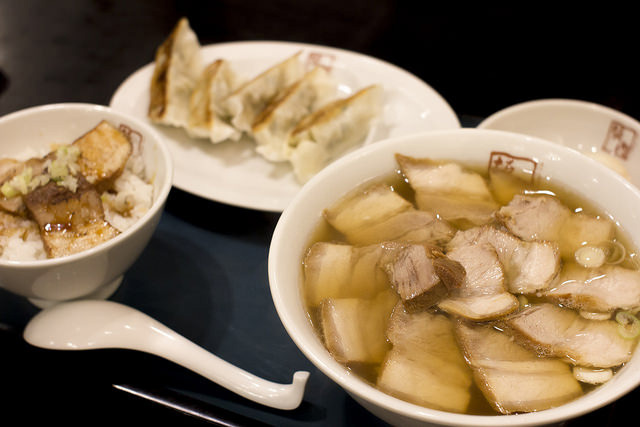 Kakuni is also a pork topping. This version is prepared a little differently though. It is braised Chinese style and is served in chunks rather than slices. The meat is a cut from the belly of the pig and also, like chashu, tends to be quite fatty. Kamaboko can come in various shapes and sizes, and it is normally red and white or pink and white. It is a fish cake which Japanese are fond of using in various dishes including their customary New Year food. 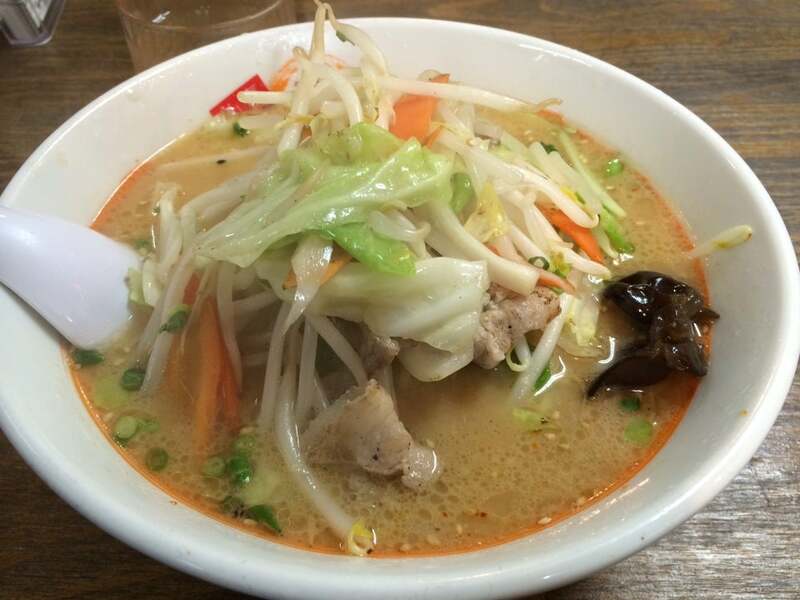 It is also a very common topping for ramen. Another popular topping is egg. Japanese add eggs to many dishes, especially noodles. This is common with udon noodles too, where the egg is often barely cooked. 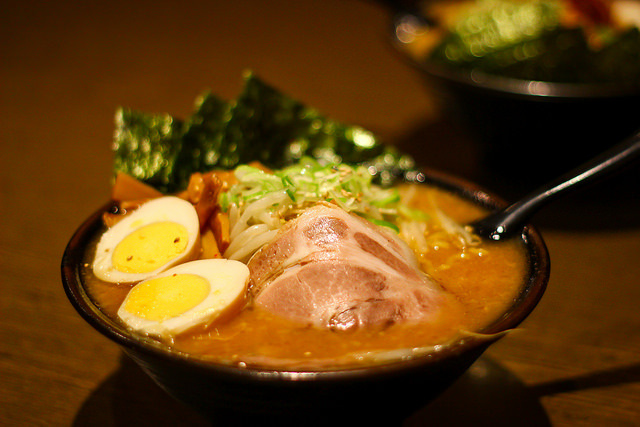 With ramen, the egg is normally boiled although hard boiled eggs tend not to be served. 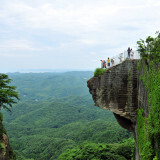 The standard is half boiled, or ‘hanjuku’, which complements the cuisines nicely. The yolk is still somewhat liquid and golden, adding aesthetic value as well as taste. 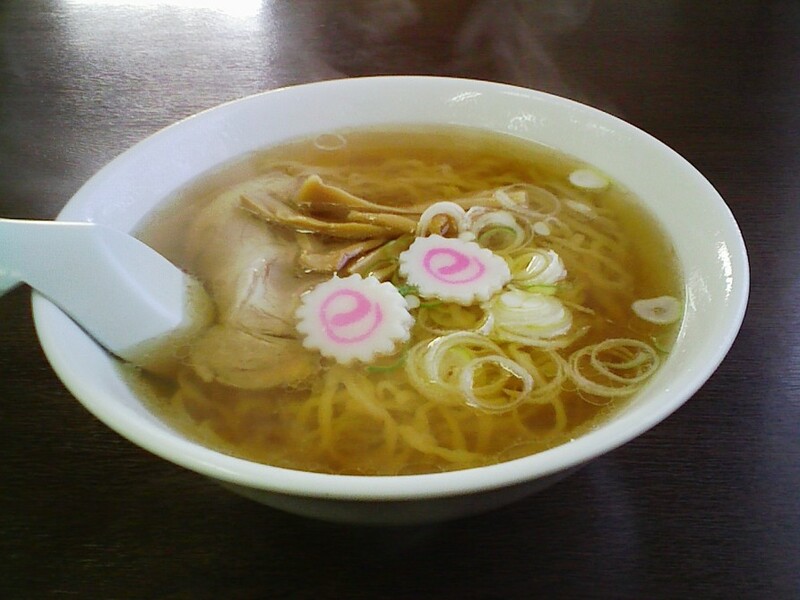 Another kind of soft boiled egg is also popular as a ramen topping. This one is marinated in a mixture of soy sauce and mirin for several hours before being served. This is called an ‘ajitsuke’ egg referring to the added flavour. 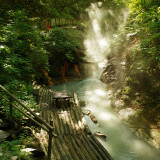 Believe it or not, eggs are also prepared in ‘onsen’ (hot springs), or at least they used to be. Modern ovens are now also suitable for the slow cooking technique. The egg white is barely set and the yolk hasn’t solidified at all. This makes it easy to stir in the egg and add extra flavour to the soup of your ramen dish. 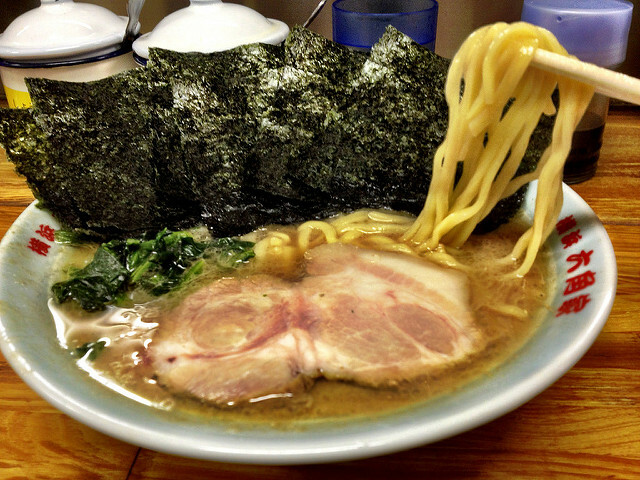 Seaweed is also popular among Japanese as a ramen topping. Wakame seaweed is generally used to season ramen with a salty soup. The seaweed adds a fresh taste and is distinctive in flavour. Nori is the other type of seaweed used, and is far more common. Nori is supplied in sheets, where the seaweed has been dried and compressed. This is the same stuff used to wrap rice balls and sushi, hence it is a flavour that all Japanese are accustomed to from a young age. There are sometimes whole sheets at the side of your bowl, but otherwise it will be shredded and applied to the top in a decorative fashion. 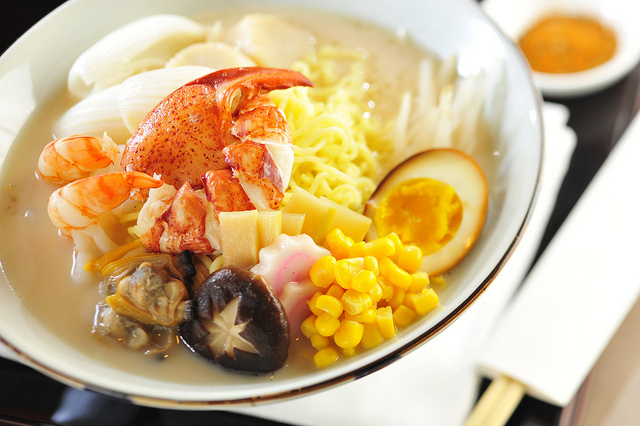 Seafood might not be the first thing you’d think of adding to your ramen noodles, but nonetheless it is fairly common in Japan. Shrimps, mussels, and scallops –these can be deep fried, which makes them delicious to eat with ramen, but they are generally simmered. Even crab is on the menu fairly regularly. These foods are normally paired with lighter soups, rather than the strong taste of soy sauce or pork bone soups. Lightly stir fried vegetables such as bean sprouts, carrots and onions are often paired with miso flavoured ramen dishes. Of course most of us want to increase our vegetable intake so why not add some to your ramen too. Now you know what to expect from a ramen menu in Japan, the only thing to do is go and try some. You’ll generally be fine if you don’t speak the language as you’ll recognise most of the ingredients on the pictures on the menu. If the staff point to a machine, you probably need to pay there and hit a button on the machine for your order – time to start learning how to read the Japanese script, or speak very slowly in the hope it is understood what you want.